Hans Buwalda gave this presentation on Soap Opera Testing at the Hexawise software testing talks during StarEast 2017. I am so excited by Hans’ presentation… He has touched on this fork, and the fork is, are we going to confirm repeatedly, relentlessly, the same stuff, that we have seen over and over and over again (which I worry sometimes the action word stuff drives us into) or are we going to do really exciting stuff that soap opera is good for. Which is to actually investigate what happens when things are non-routine and things are non-routine far more often than we believe. I love the soap opera concept, I absolutely love it. Hans also mentions “exploratory test design” where you think about the business (not the User Interface UI). 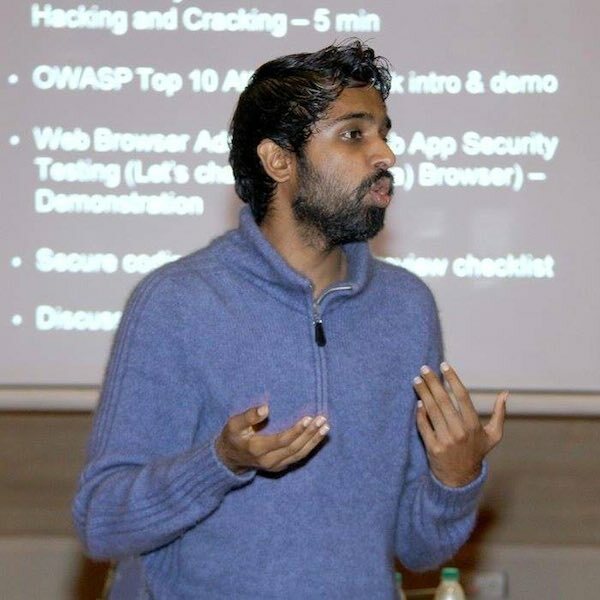 This interview with Santhosh Tuppad is part of our series of “Testing Smarter with…” interviews. Our goal with these interviews is to highlight insights and experiences as told by many of the software testing field’s leading thinkers. Santhosh Tuppad fell in love with computers when he was 12 and since then his love for computers has increased exponentially. He founded his first startup in 2010 and was part of growing the company to nearly 80 people. In short, he is a passionate software tester, security researcher, entrepreneur and badass in following his heart come what may! Hexawise: What drew you into a career in software testing? Santhosh: I have loved computers since I was 12. My father enrolled me into a computer course and I got to experience Disk Operating System for the first time where I used computer using command-line terminal and also played Prince Of Persia game. And I was addicted to gaming during this phase. After my gaming stint, I was introduced to the internet and picked up an addiction for IRC (Internet Relay Chat). Here, I met various hackers and used to communicate with them on various channels which were heavily moderated and were invite only. I had to demonstrate my interest in hacking to these folks to invite me to their channel. My first hack was to hack the dial-up network credentials and use them at my home when the internet shop used to close at night. We used to have Internet Packs at those times in India and I had to pay money to buy those: and I did not have money during my teenage years. Without much ado, let’s skip to software testing part. After my graduation, I did not know what should I be doing (one thing I knew for sure was, anything that I do has to be with computers as I was passionate). I switched 5 jobs in 1 month and worked as IBM technical support guy, Creative Designer, XML Language Translator, PHP Developer and some other profession that I cannot remember as of now. I understood that, I cannot settle for anything which doesn’t synchronize with my heart. I was on the journey of finding which becomes part of me. And finally, I enrolled for the software testing course. And during the course days, I could connect my hacking skills (security testing) to software testing. This part of my life is what I call finding bliss. And the story continued and I started growing in the industry as a tester, international speaker, participant in conferences across the globe, entrepreneur in software testing, keynote speaker, blogger, author and what not. Hexawise: If you could write a letter and send it back in time to yourself when you were first getting into software testing, what advice would you include in it? I see that you have found yourself in a country where everyone is pressurized to become something else than they want to be. You identified something crucial and beautiful about yourself, that is you follow your heart with patience and kindness and don’t settle for something that doesn’t make you come alive. Like I know, passion is a variable and it may get boring at times; but being bored is just a temporary phase and an emotion which doesn’t mean your passion is dead. So, be rational and decide for yourself while you are kind to others. Accept yourself and forgive everyone. You are stepping into what you love and I know you are confident about your journey and you believe in it. That’s beautiful. It may be easy to fall into routine and get into monotony of things in your career. Nevertheless, you know how to sail through things and get out of them to start fresh or continue in a different path. You can swiftly shift based on your visceral. Grow by following your visceral feelings and have no regrets. Be good at connecting the dots and growing out of them. The beauty of software testing has not been known by the world so well as of today, so work on your skills and demonstrate them to the world and educate professionals and students about the greatness of software testing. It’s not about you or me or anyone, it’s about next generation testers who could help their next generation and their generation to enjoy the fruit of invention which includes software. Let software make the life beautiful and not buggy. I know that you know about your journey, but I am just saying. Hexawise: Describe a testing experience you are especially proud of. What discovery did you make while testing and how did you share this information so improvements could be made to the software?